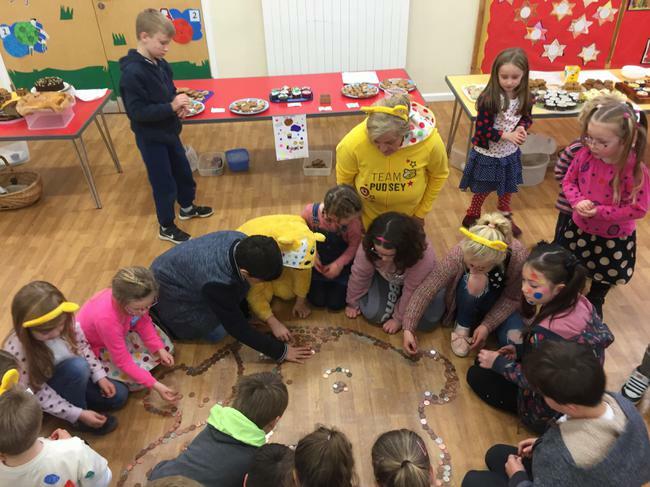 Children in Need Day- We are SPOTACULAR! 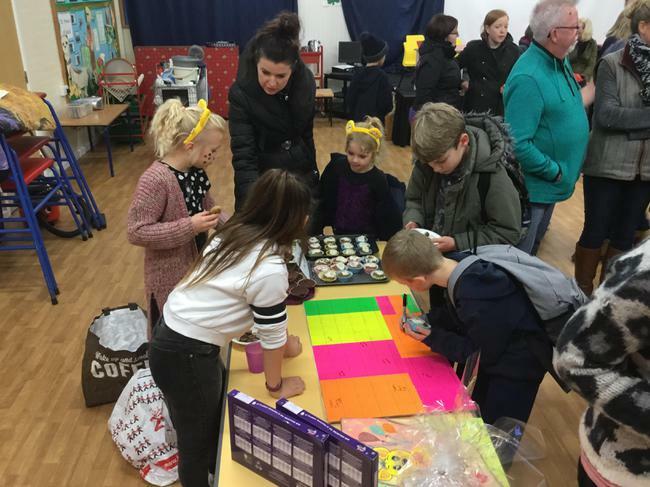 What a great day, the children all came wearing something spotty and lots of children had designed and created their own tops. 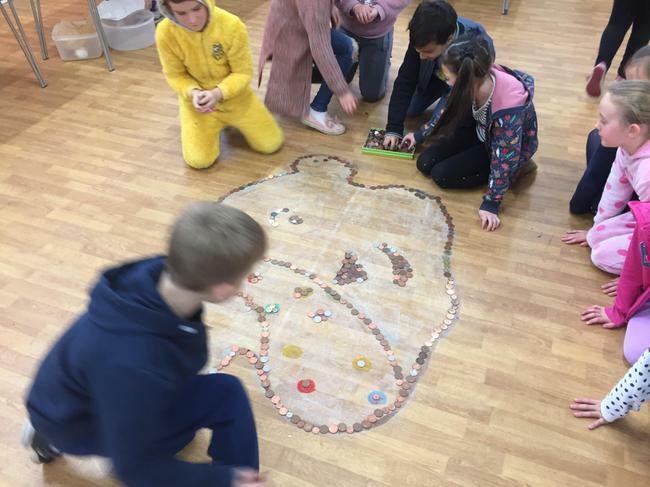 Each class covered their Pudsey Bears with coins, the winning total of bears covered was 11. 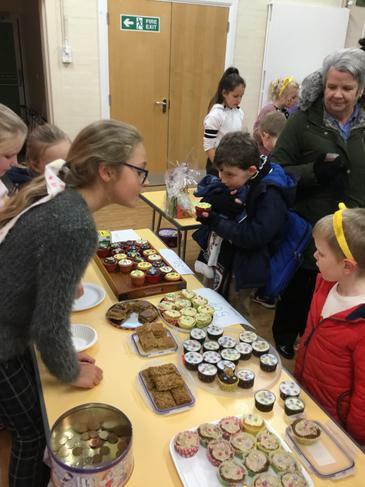 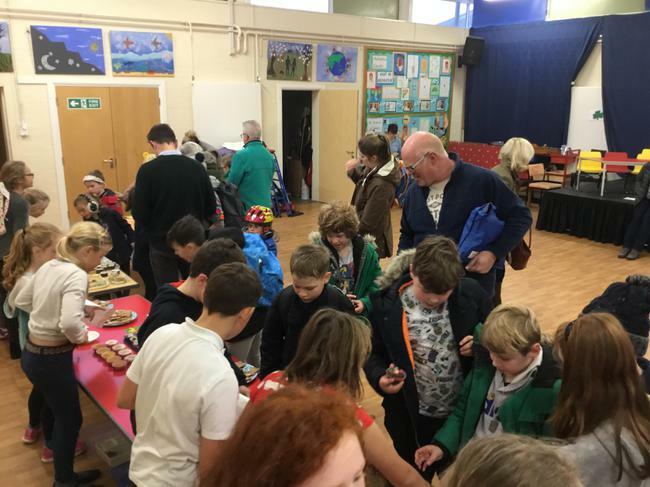 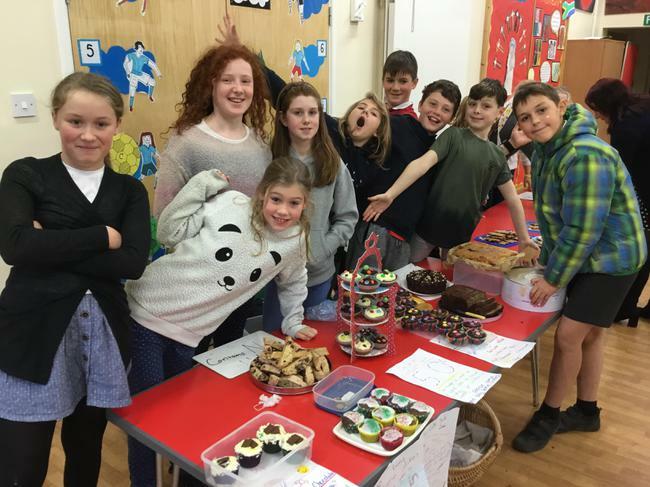 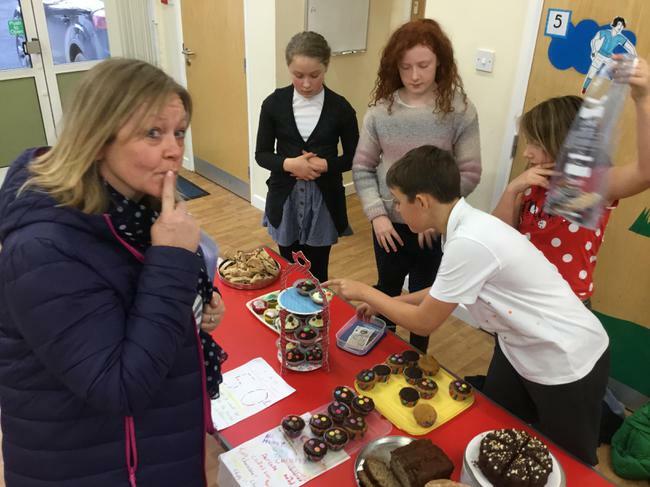 Groups of children baked cakes and set up stalls after school and raised a grand total of £150, AMAZING! 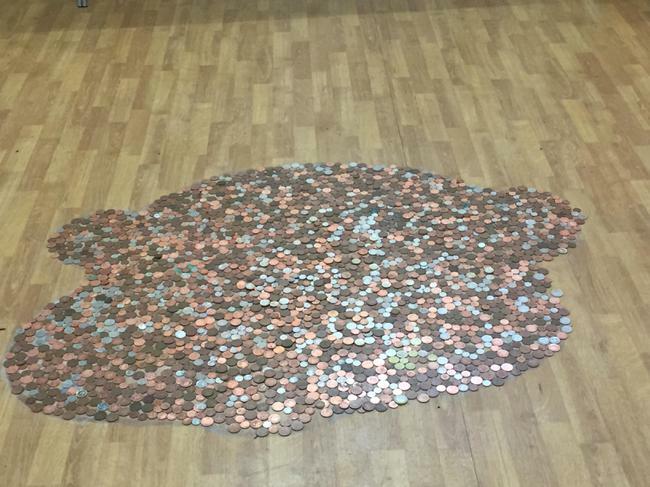 We covered a large Pudsey head in the hall and will give you the total of all the coins donated as soon as they are counted. 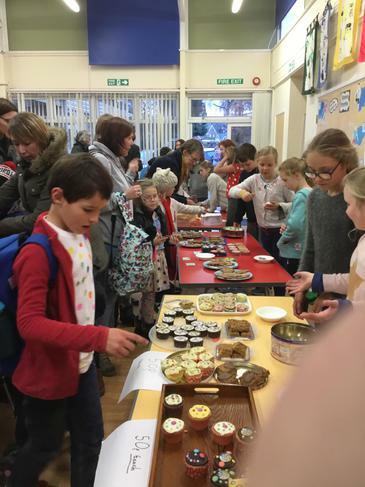 What a fantastic school community we have! 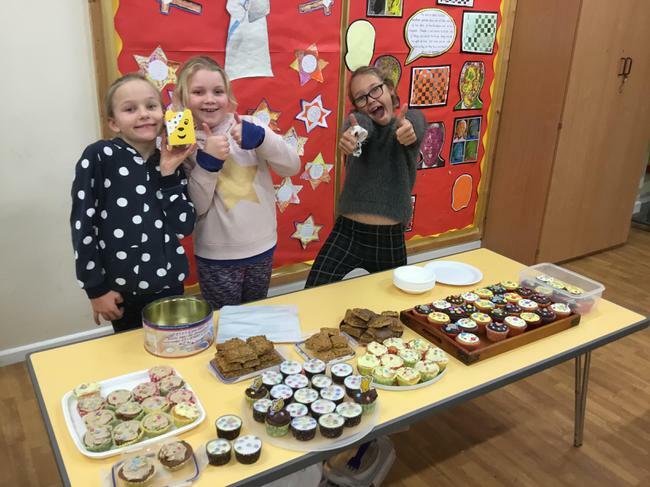 Well done for all the super cakes and the effort put into outfits.